In which we examine Russia’s relationship with Ireland and the E.U. 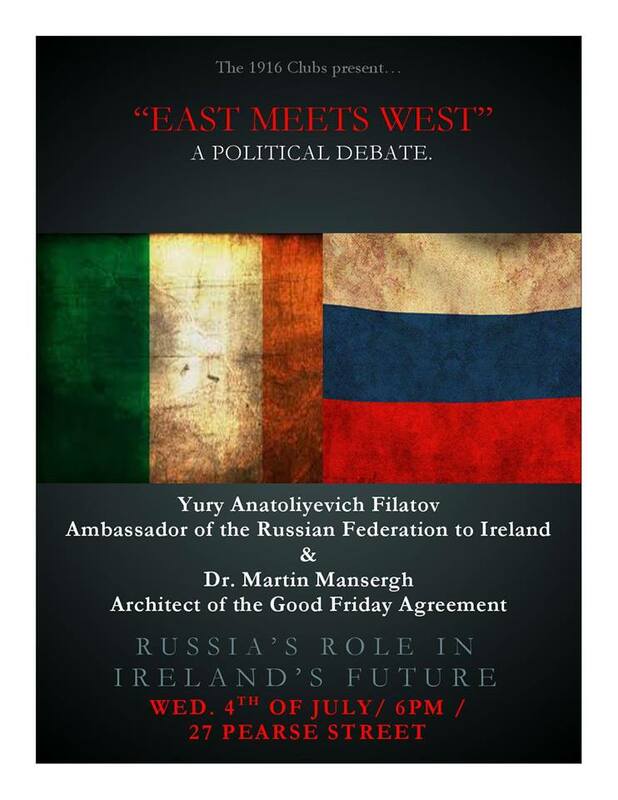 To this end, we have invited the Russian ambassador Yury Filatov and Dr.Martin Mansergh, one of the key architects of the Good Friday Agreement to discuss their views on this issue. We intend to hold this debate at 6pm in the Pearse Centre, 27 Pearse Street, Dublin, D02 K037 on the 4th of July. As with previous debates this is free entry, we expect a large audience and lively discussion.